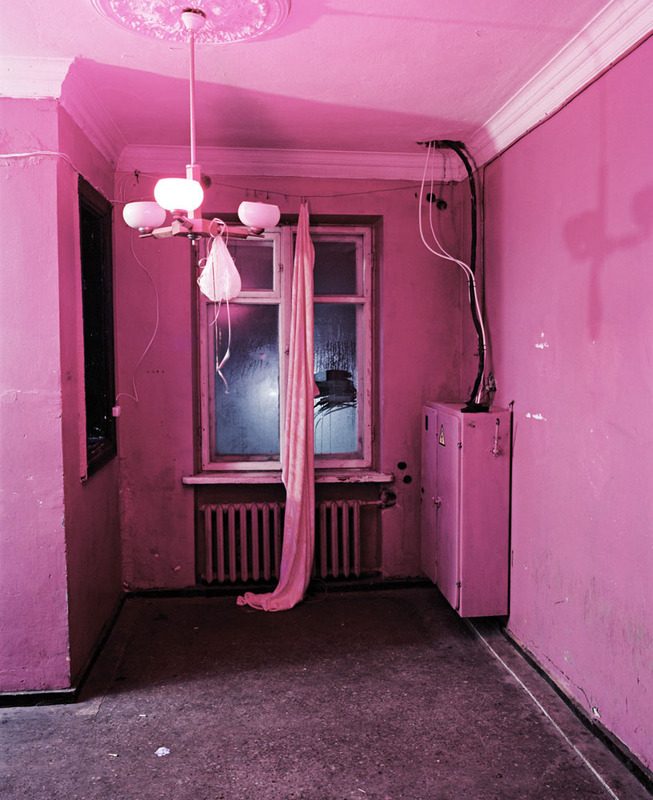 Andrew Miksys’ photography has been shown internationally including exhibitions at the Seattle Art Museum, Vilnius Contemporary Art Centre, Kaunas Gallery, and De Apple Contemporary Arts Centre. 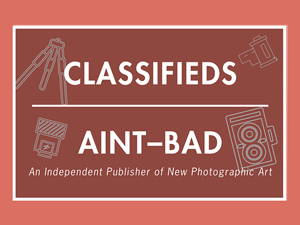 He has been the recipient of grants from the Guggenheim Foundation, Fulbright, and the Aaron Siskind Foundation. Andrew’s work has appeared in many publications and online including DAZED, The New Yorker, Harper’s, HOTSHOE, BuzzFeed, and VICE. He has published several books through his publishing imprint ARÖK Books. 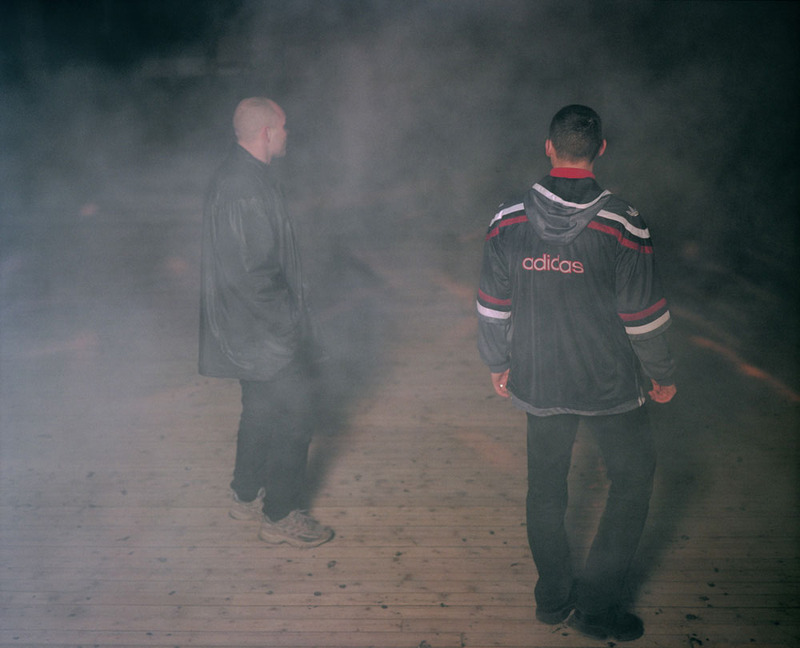 In 2013 he published DISKO from his series about village discos in Lithuania. His latest book about Belarus, TULIPS, was published in 2016. He currently divides his time between Seattle and Vilnius, Lithuania. 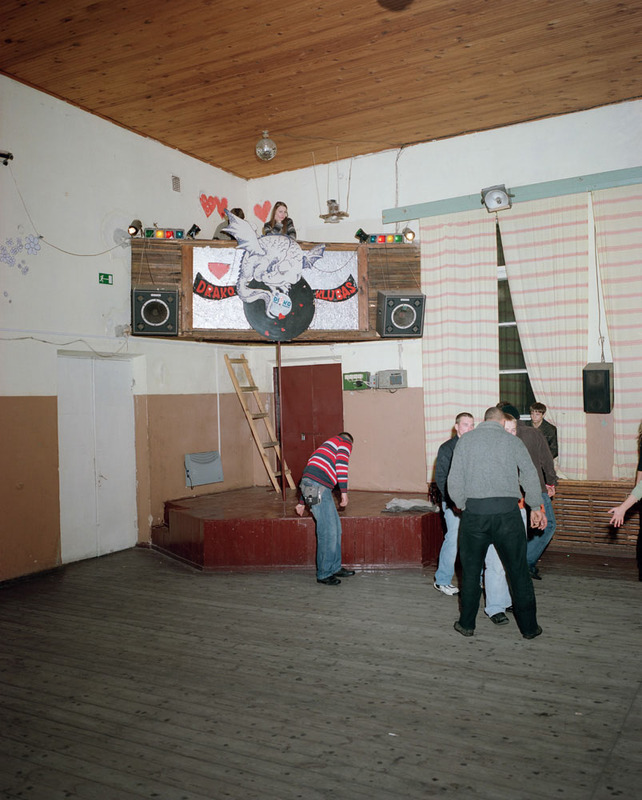 During the last ten years, I spent many weekends photographing in village discos in Lithuania. Most of these discos are located in Soviet-era culture houses. Sometimes I would rummage around the back rooms and find discarded Lenin paintings, old Soviet movie posters, gas masks, and other remnants of the Soviet Union. I was quite fascinated by all this debris of a dead empire. 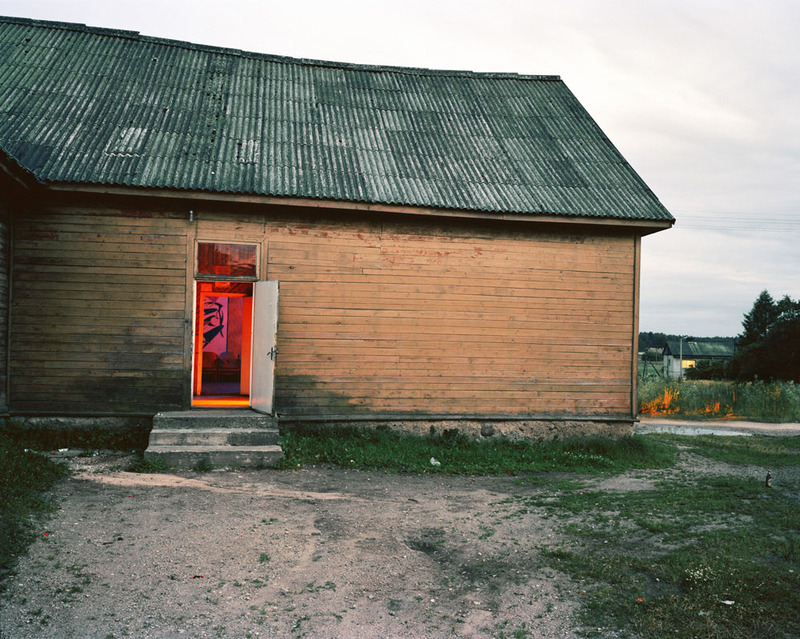 It seemed like a perfect backdrop to make a series of photographs about young people in Lithuania, a crumbling past, and the uncertain future of a new generation together in one room. 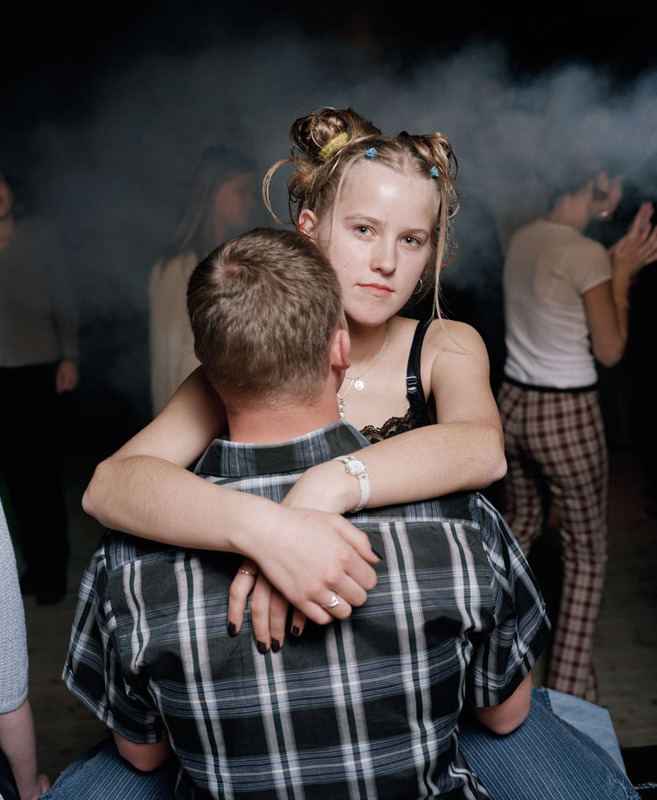 The people I photographed were often puzzled about my presence in their local discos. Why would someone travel all the way from the USA to photograph them? I’m an American-Lithuanian, but my broken, heavily-accented Lithuanian certainly gave me away. In truth, it was probably my outsider status that made me less threatening and kept me safe. The local disco is where you go to get drunk, make out, dance, and sometimes fight. I ignored the repeated warnings from friends not to travel to these places alone. 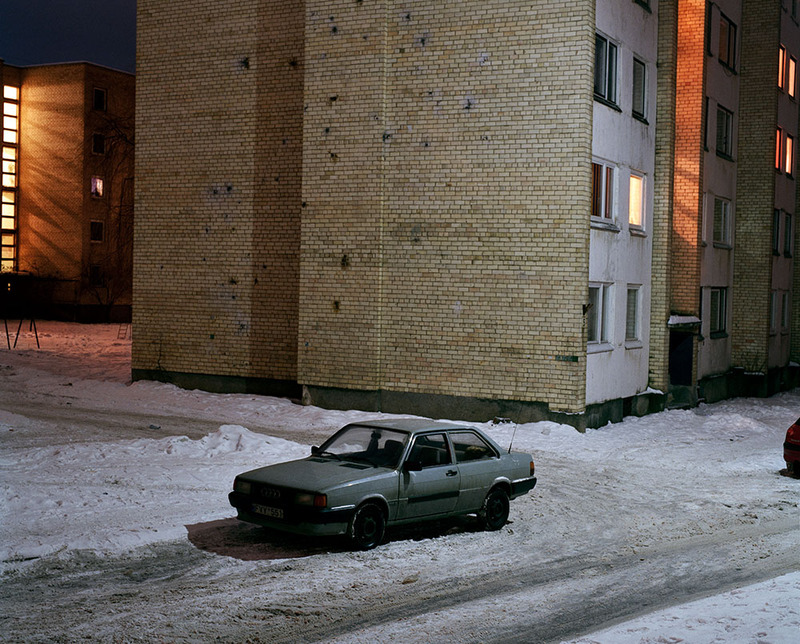 My anxiety was often quite intense when I got in my car and left the familiar lights of Vilnius searching for discos on mostly empty back roads. I never knew what I was going to find, but the prospect of discovering a disco somewhere in the dark with colored lights pouring out the windows and pulsating music pushed me forward. Are there any differences in the etiquette of these discos compared to what one would expect from an American club? 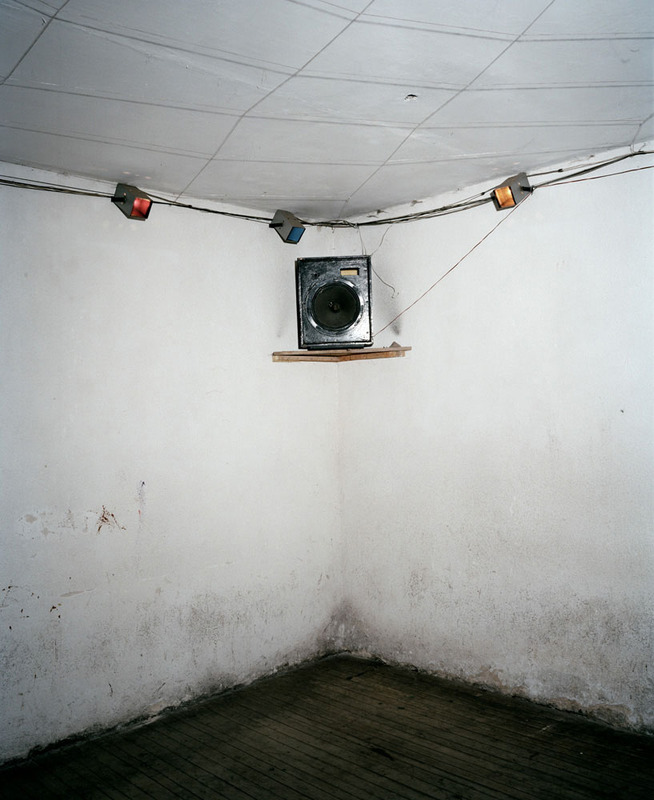 I don’t think there is a too much difference between the discos I photographed in Lithuania and those I went to as a teenager in the US. I’d usually go to the disco with some guy friends. Before the disco we’d drink beer in the parking lot or in some park. We’d be looking to dance with girls and sometimes there were fights. What I found fascinating in Lithuania is how these discos in cultural centers were basically the only thing for kids to do on a Friday or Saturday night. Some of the villages don’t even have a gas station or any place to hangout. And, of course, the cultural centers played a central roll in the ideological and cultural life of the Soviet Union. When I was photographing Soviet Union had already collapsed, but you could still see remnants of the past all around. One disco even had a Lenin on the wall. But the kids were changing quickly and you could see many new influences coming from the US and Europe. This clash between the future and the past, hope and despair is what I found so fascinating. You mentioned your outsider status made you unthreatening, were there any instances where you felt unwelcome? No, I never felt physically threatened. Mostly the really tough guys at the discos would look at me a little suspiciously at first and then ended up helping me after they got to know me. At one disco, four very tough guys in leather jackets made me sit with them and drink vodka. Once I proved to them I could hold my own, they treated me like one of the guys. The hospitality toward me as a stranger was actually quite amazing and I have great memories of all the people I met working on the project. How did you go about approaching a subject for the staged portraits? Most of my photography is somehow staged. I don’t really believe in the idea of objective, documentary photography. Fact and fiction are always mixed in photography. I almost always talk to the people I’m photographing and I use a very large studio flash that I can’t hide. But even when a photograph is staged it’s interesting to see how people want to present themselves in front of the camera. Sometimes guys would take their shirts off or a couple would embrace. Mostly I don’t really say very much. When I started the project, I couldn’t even speak Lithuanian so there wasn’t much to say anyway. The most important thing is just to remain persistent and even stubborn until you get what you’re looking for. How has DISKO influenced other projects that you’ve worked on? I think DISKO taught me to just see a project through to the end. Seems kinda simple, but usually it’s not. Sometimes after photographing for a long time, I realized that only a few photographs really fit the idea of the project that I have in my mind. So I have to throw out most of what I’ve shot and just use those few images as a guide to move forward. Also when I decided to make DISKO into a book, I needed to give myself time to go through all the design and editing trials and errors. It can be discouraging. But the idea of stopping or leaving a project incomplete would probably feel much worse. How was the bookmaking process? The bookmaking process is quite challenging. You really have to use the same energy and creativity that you put into photographing for years into making a book. 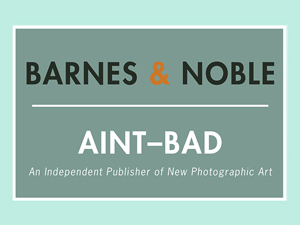 I believe a book should be like your photography and be an expression or reflection of your own esoteric, personal, and subjective point of view. This is why I like self-publishing and publish all my books through my own publishing imprint ARÖK books. This allows me the freedom to make a book exactly the way I want to make it. I choose the designer, paper, printer, and all the materials. Even if my books have some eccentricities or imperfections, I feel like it’s a good thing. There are many perfectly designed books these days that feel completely cold and fall flat. Better to take a risk and do it your way. I have a few things going on, but I’m really focused on going back and editing my BINGO photographs for a book. This was my first big longterm project and I really thought it would be my first book. But then I moved to Lithuania and I kinda put it on the back burner. Recently I’ve been going thought my father’s photographs from the bingo newspaper he published in Seattle in the 80’s and 90’s. I want to include some of his black and white photographs in the book along with my color photographs. 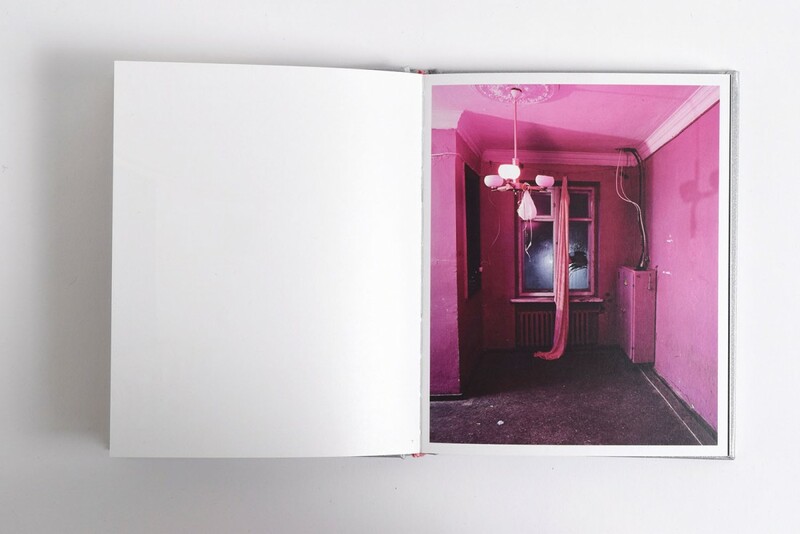 To view more of Andrew’s work and purchase his book, please visit his website!